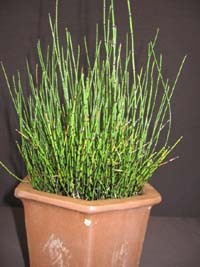 It is the smallest horsetail in the World originally from the Northern parts of the US. It grows anywhere from 3" to 12" tall depending on the environment. 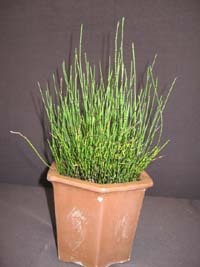 It grows well around small ponds and as a potted plant as well. Make sure to keep it moist. This is a cold hardy plant. Full to partial sun is best for this plant. This will also look really nice as a bonsai companion! !